Clean,helpful and value for Money ... I visited only for 2 days but the staff were great. Helpful, rooms clean, great location. 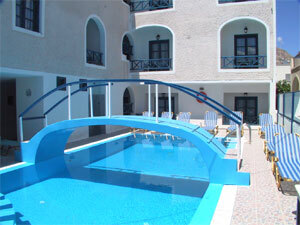 It would be perfect in high season as right in heart of Piera beach area. 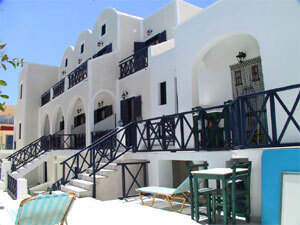 Anny Studios are situated in the centre of Perissa, 30 meters from the beach(the location couldnt be better). Perissa is one of the most popular destinations of Santorini Island, is the longer beach famous for the infinite black sand and the dark waters, where you can enjoy various water sports and a water park. 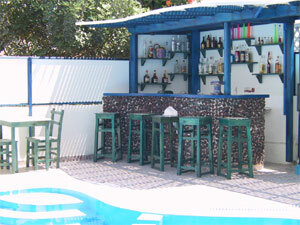 Many restaurants, cocktails bars, clubs and shops are all around Perissa Beach. This is a new building with 29 studios for two, three, four and five people. , internet corner, reception services, foreign exchange, transfers, car and moto rentals, to book tours around the island and our unique volcano. 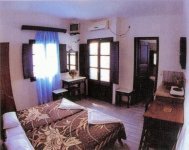 The studios have bath, balcony, full kitchen equipment, satellite TV, fridge and all the studios also has air-conditioning. Rooms are cleaned daily and there is hot water available 24 hours. The studios with a/c has a small extra charge 1 euro per person. We offer free transfer from the port or the airport to the studios upon arrival. 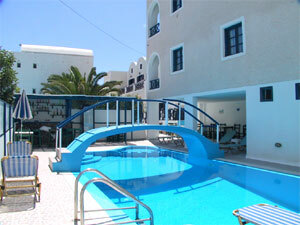 We want to promise that we do the best for an unforgetable time in our studios and our pool bar. If you cancel 1 to 15 days before the arrival day: 50 % of total agreed upon reservation will be charged to credit card. If you cancel the Day of arrival or a not show: 100% of agreed upon reservation will be charged to credit card. WE OFFER FREE TRANSFER UPON ARRIVAL TO OUR GUESTS. 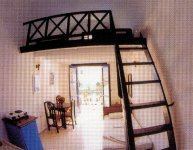 Anny studios is on the beach way of Perissa beach. When you walk on the beach road with the direction from the mountain to the beach and you see the restaurants Charlina and Kalimera take the walking street that is between this 2 restaurants and back from this restaurants is Anny studios.